ONI Bureau: The Regional Meteorological Centre has issued thunderstorm and lightning warning for ten districts including Balasore, Mayurbhanj, Keonjhar, Nayagarh, Rayagada, Angul, Khordha including Bhubaneswar, Balangir, Kandhamal, Kalahandi districts from 2:45 PM to 6:45 PM today. The weather bulletin also predicted heavy to very heavy rainfall is likely to lash several parts of Odisha around on August 13 as a fresh low pressure area is likely to form over northwest Bay of Bengal. 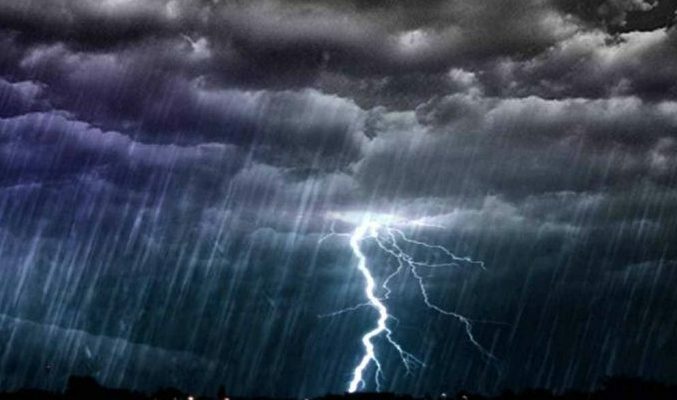 Under its impact, rain and thundershowers are likely to occur at many places in Odisha including Nabarangpur, Koraput, Malkangiri, Kalahandi and Kandhamal from tomorrow reportedly. Similarly, heavy rainfall is likely to occur at some places in Keonjhar, Mayurbhanj, Balasore, Bhadrak, Sundargarh, Kendrapara, Cuttack, Puri and Jagatsinghpur districts on Sunday.